Uses the highly accurate nephelometric method to meet ISO 7027 standards. The water we drink and use has to be of the best quality, considering the fact that it directly or indirectly enters our bodies. Any inconsistencies or unwanted particles have to be eradicated immediately. Turbidity meters help a lot in that sense. They have increased in demand over the years as pollution has become a significant factor in the quality of water. 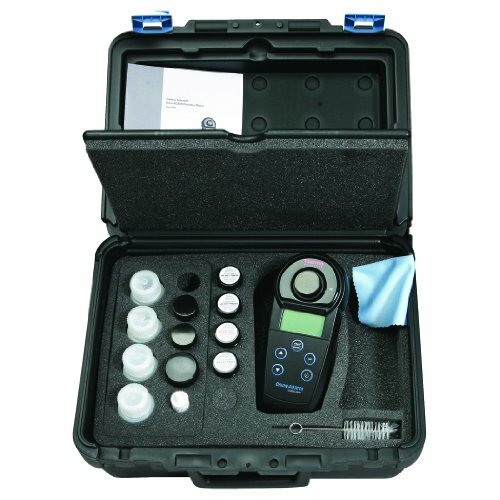 The best turbidity meters measure the turbidity of the water to check for any unwanted particles or unnatural discolouration of the water. 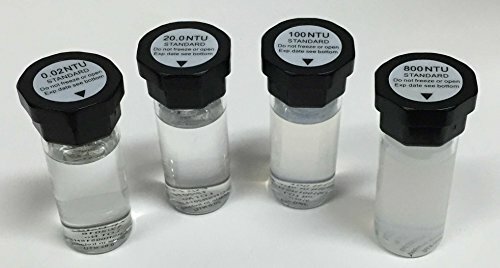 It is measured in what is called NTU or nephelometric turbidity units. There are many turbidity meters on the market, but only a few are truly accurate in every sense of the word. 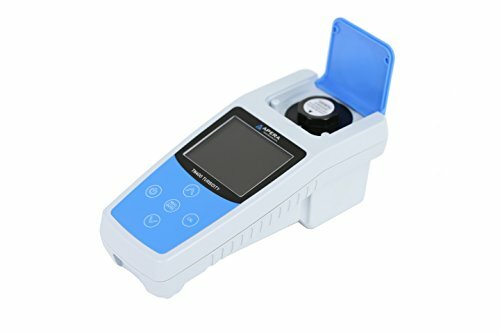 Here are the best turbidity meters as found on Amazon.com. his meter is battery operated which makes it portable and very easy to carry around in the field, at home, or in a lab. It is super compact which means that you will not even be aware of the fact that you are carrying it around until you have to actually use it. It uses the highly accurate nephelometric method which meets all the standards and requirements. The push-button features an automatic 3-point calibration, auto-ranging, and min-max recall. There is no additional setup or setting methods required; it has already been calibrated in the factory and is ready to use upon purchase. It comes with a hard foam lined carrying case, distilled water, and a cleaning cloth. 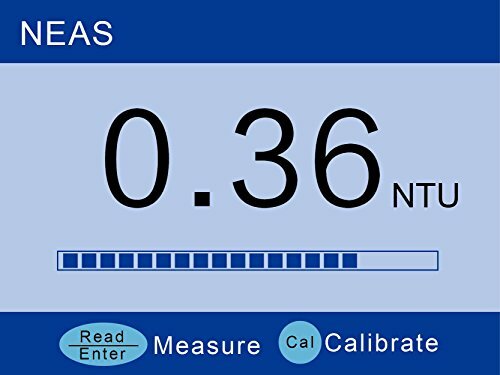 It makes for perfect usage in the environmental testing, wastewater, petrochemical, beverage industry, and electroplating industries, or even in your very own home to test the quality of your drinking water. LaMotte has always been known for its traditional approach to their products and working methods, ensuring that their clients get everything in an accurate and working way. 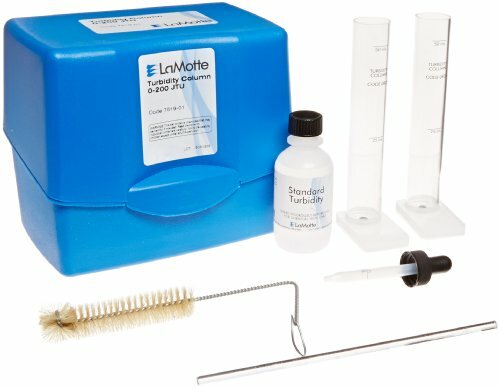 The new testing kit from LaMotte is no different and captures a somewhat old-fashioned approach to testing water turbidity. 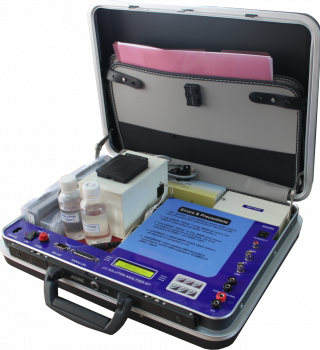 Nevertheless, it is still one of the most accurate tools when it comes to testing kits and you can be guaranteed that your readings will never be dishonest. 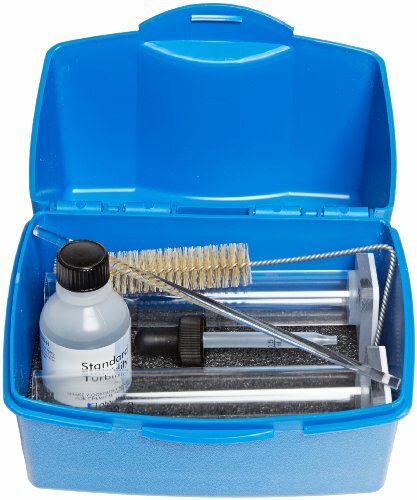 The LaMotte Turbidity in Water Testing Kit comes with 2 columns, a 60ml standard turbidity reagent, 1 brush, and a 0.5ml pipet with a cap which makes up a complete testing kit. One sample column tube is filled with the water sample that you want to test while the other sample column tube is filled with the turbidity-free water. The standard turbidity solution is then added to the second tube, drop by drop, until the turbidity in the two sample column tubes match. To calculate the turbidity of the water you have tested, all you do is multiple the number of drops by a factor to calculate the accurate reading. 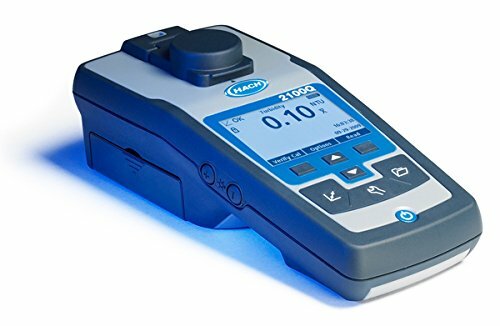 This is one of the best turbidity meters for those who enjoy testing water at home rather than in the field. The team at Hach always ensures that they push the limits of science and technology to bring something wonderful into the world, and their latest portable turbidimeter is no different. 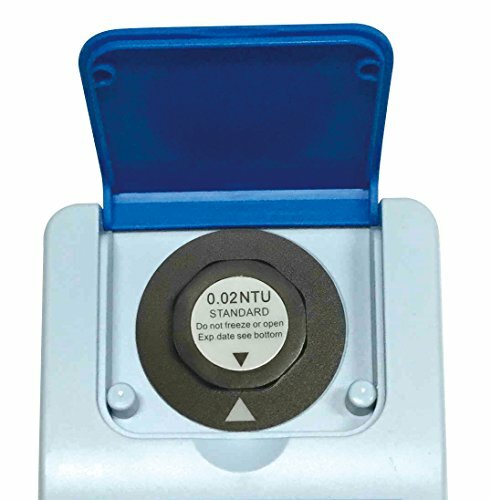 This turbidity meter is perfect for everyday use, use in the field, research purposes, or education purposes. It is totally portable and you can carry it around with ease to your destination. It has been calibrated with single-standard RapidCal to ensure that you get the simplest solution presented to you for the low-level measurements. Single-step programming allows you to verify your data and on-screen assisted calibration eliminates the need to check back and forth inside a pesky manual. You can transfer the data that you have acquired by means of a simple, optional USB module. This you can plug into any computer, update the software, and start downloading your data with ease. The exclusive algorithm settings in the Rapidly Settling Turbidity mode provides for accurate and repeatable measurements. This is perfect for testing water that delivers rapidly settling, difficult-to-measure samples. At the same time it eliminates unwanted measurements and redundant estimates that will only make your data capturing that much complicated. Just like the constellation is has been named after, the Orion Company strives to bring its clients accurate products at the highest standard. 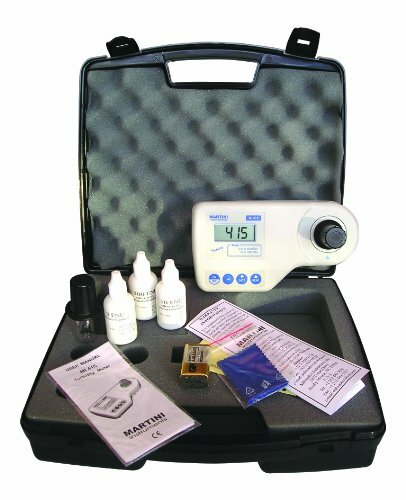 The AQUAFast Turbidity Meter Kit is no different from the rest and promises an accurate reading of the turbidity levels in your water. It is perfect for almost any use in any field – whether it is for plants, in the field, during lab research, or even if you want to purify the drinking water in your home. 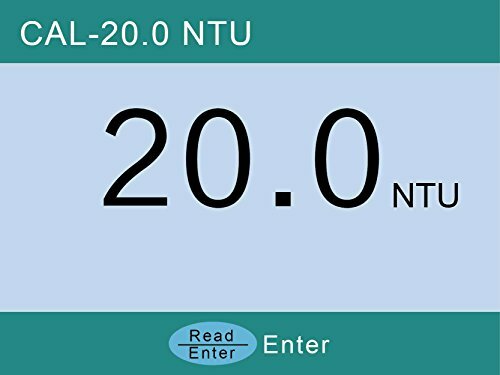 It brings an autoreading in seconds, ranging from 0 – 1000 NTUs. It offers a great source of light and in many cases an additional light is not needed, saving you time and money. The battery has an auto shut-off feature and will power down after 20 minutes of inactiveness helping you to save battery life. 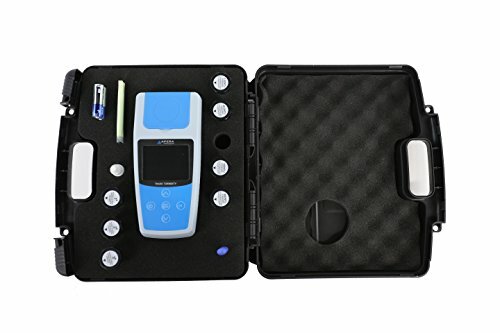 The LCD screen is perfect for reading the measurements you have taken and weighing at only 4.4 pounds as a whole, this kit should not take up much space and it will be easy to carry around. It uses the nephelometric principle with 90° detection which enhances the accuracy of the overall reading. 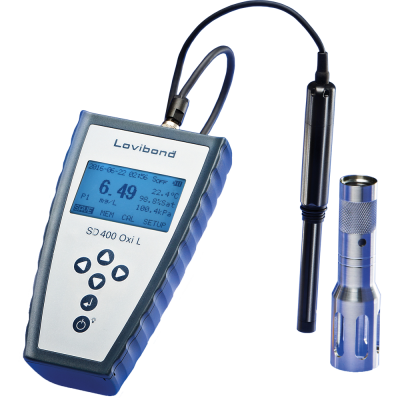 Turbidity meters have become a necessity in the time we live in today, especially if one considers the extreme rate at which we produce and consume products. The air is not as clean as it was 100 years ago and one has to ask: what exactly is in the water that we feed our animals, we pour over our plants, and that we drink and cook with ourselves? 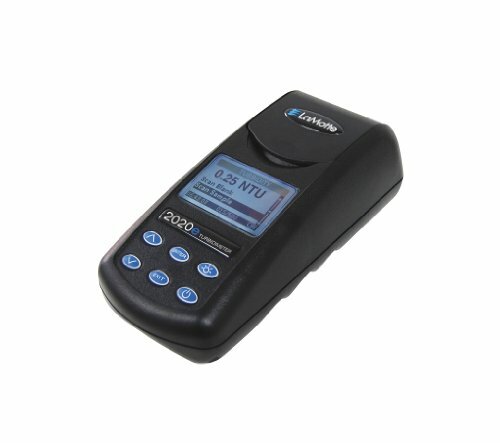 The best turbidity meters prevent the unhealthy risks you take in the long run.